Is your company at Risk to Hackers and Cyber Criminals? 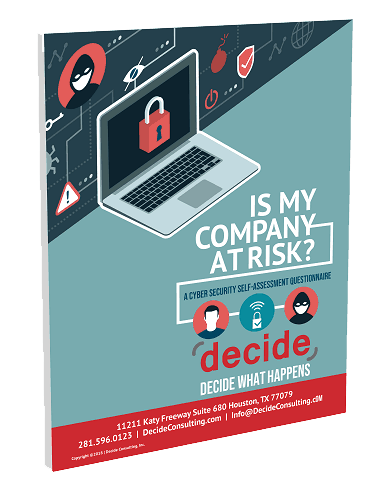 Our Cybersecurity Self-Assessment Tool is a great way to understand you risk items, points of vulnerability and overall cybersecurity position. With your results you will be better equipped to create your cybersecurity roadmap. It’s free to download. Why do you Need a Cybersecurity Assessment? The motivation for cyber hackers is higher now than ever before. This is a threat to businesses small and large. The cyber criminal has more tools at their disposal that can do more harm. Many executives authorize a few cyber defenses and think they are done. Just because your organization was secure a year ago, does not mean you are secure today. The world has changed and new threats exist.